Hello everyone! 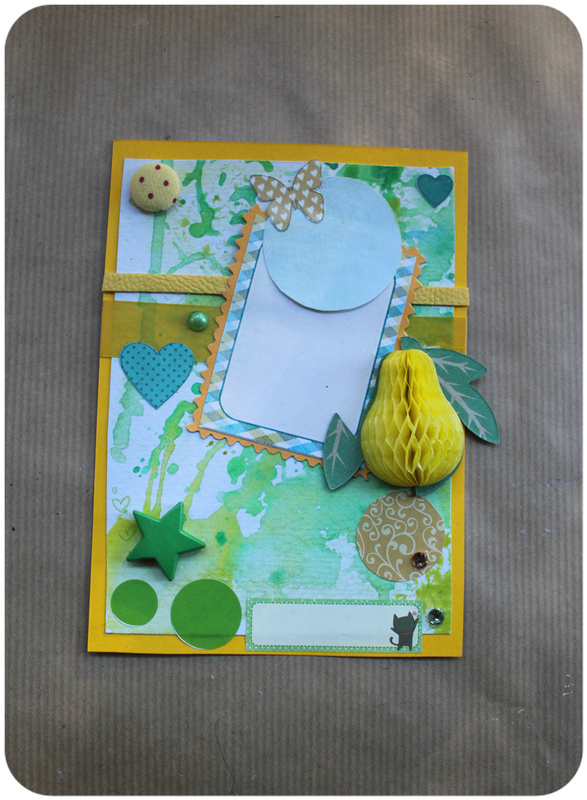 Clear Colours is back with a new look and lots of crafty things! 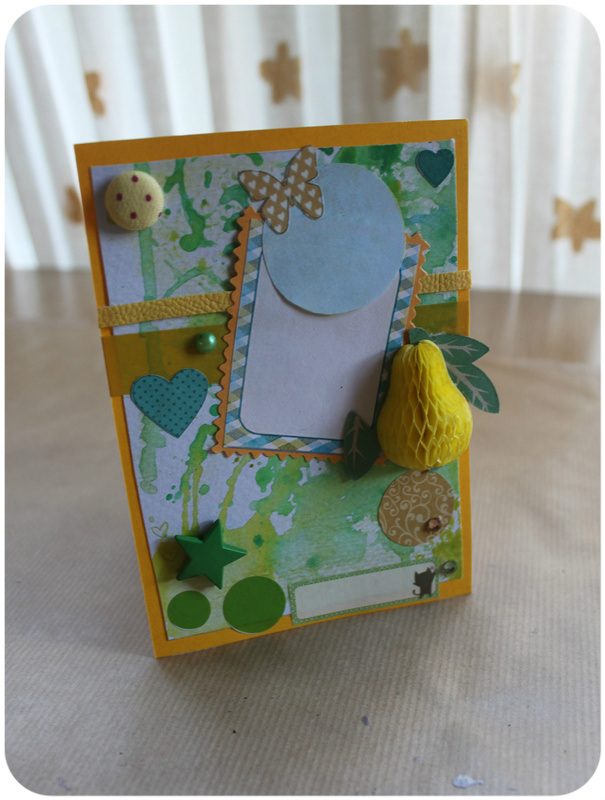 Today I want to show you one of the gift tags I've made for a birthday. I've mixed yellow and green with a touch of blue. The background is made with watercolours (It's the first time I use them for crafty stuff). I've added “leather” ribbon and yellow duct tape as a washi. The pear is cocktail decoration my mom brought to me. I've decided to put it here cause it fits so well with these colours!